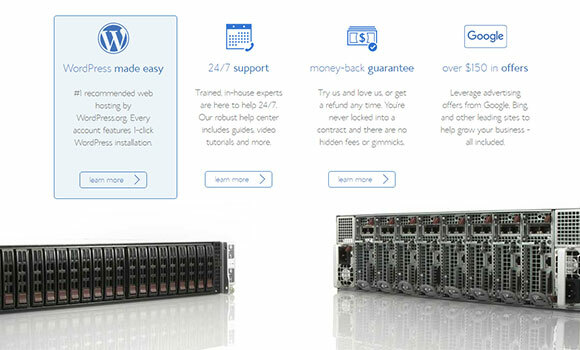 Anyone seeking a streamlined, all-in-one solution for hosting, site building, and ecommerce will feel right at home with Bluehost's seller plans. Bluehost has been an industry leader in web hosting for more than a decade, and now they’re partnering with WooCommerce to provide a complete shopping cart solution to online business owners. WooCommerce is powered by WordPress, one of the most trusted and versatile website builders on the market. 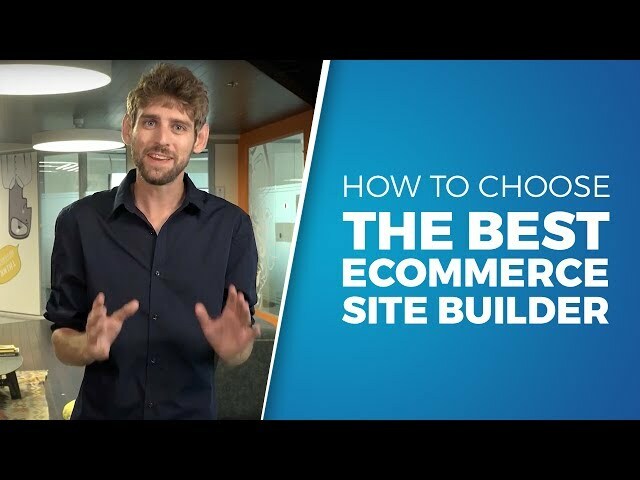 With the bundled services of WordPress, WooCommerce, and Bluehost, users have everything they need to build and manage online stores that look amazing and function seamlessly. The great thing about WooCommerce is that it’s suitable for novice and experienced webmasters alike. Even the most unseasoned beginners will feel comfortable building their stores with the straightforward point-and-click interface, and knowledgeable web developers will appreciate having the freedom to edit their sites’ PHP and implement more advanced customizations on the back end. Nearly 40 percent of online stores use WooCommerce, and for good reason. Almost anything can be accomplished. Product pages can be optimized to include variations like size and color. The user can even choose the size of product images. WooCommerce is also compatible with hundreds of extensions like MailChimp, USPS, UPS, Square, and Amazon Web Services. In addition to accepting credit cards and PayPal, users can set up additional payment methods like direct bank transfer, check payment, and cash on delivery. The system supports more than 100 third-party payment gateways like Stripe, Amazon Payments, and PayFast, all of which can be set up in minutes. Of course, all of these features are reinforced by the industry-leading reliability and security of Bluehost and the unmatched usability of WordPress. If a user ever encounters an issue or isn’t sure how to do something, they can access a dedicated support line 24 hours a day. Customization is never a problem with WordPress and WooCommerce. There are thousands of templates to choose from, ensuring that everyone can find precisely the right look and layout. Most of the newer templates are coded using responsive design, which means that they automatically conform to all screen sizes. Websites look great on computers, tablets, and phones. Once a template is installed, it can be customized right from the WordPress dashboard. Create menus, change the color scheme, add a company logo, manage sliders and carousels, and choose what appears in the sidebars. 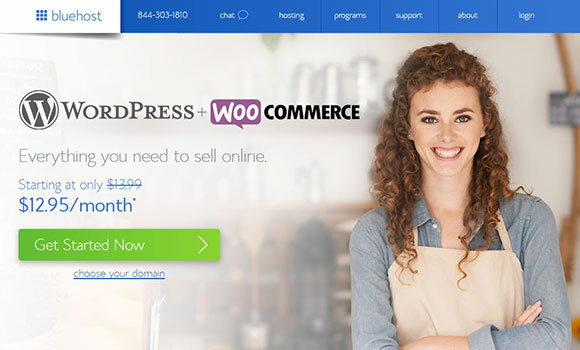 WooCommerce users also have access to the entire library of WordPress plugins, which includes helpful SEO tools, contact forms, spam filters, social media integrations, and much more. Most of these plugins are free to download, and there are nearly 50,000 of them to choose from. For those who need to customize their hosting preferences, things can get a little bit complicated on the back end. Issues like configuring SQL databases, creating subdomains, and setting up FTP accounts can be a hassle with Bluehost’s cPanel, but most WordPress users won’t have to deal with those processes. PayPal is the default payment gateway for WooCommerce. Using PayPal Powered by Braintree, users can accept PayPal payments, credit cards, and debit cards. This gateway is PCI DSS v3.0 SAQ-A compliant, which means it’s designed for high-level security that buyers can be confident about. There are no setup costs and no monthly fees, and the gateway includes several enhanced features like One Touch checkout and fraud protection. For users who would prefer a different payment gateway, numerous options are available, including Stripe, PayFast, and Amazon Payments. The shipping process is also easy with WooCommerce and Bluehost. Users can choose from a range of options like flat-rate, international, and local delivery and pickup. 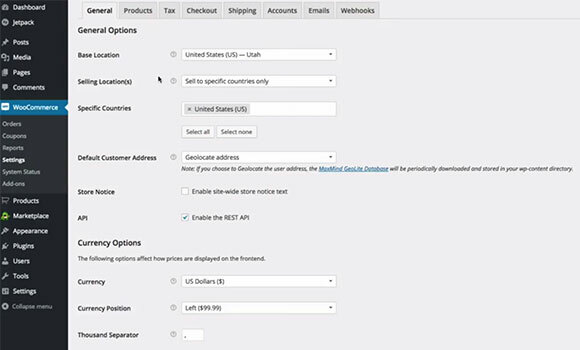 Users can even create shipping zones and set their prices accordingly. It’s also easy to set up tax preferences. For instance, if a store is legally required to charge a 9.75% sales tax to buyers in California, the user can easily set up that preference using the “Your Tax Rates” menu. The system will then automatically apply the tax to any purchases made in California. Bluehost and WordPress are both world-class options for SEO, so the marriage of these two services is a match made in heaven. Bluehost has more than 99% uptime and secures all websites with an SSL certificate for data encryption. Search engine algorithms look favorably on both of these factors. In fact, Google officially announced that sites with secure SSL certificates would have a rankings advantage as of late 2014. 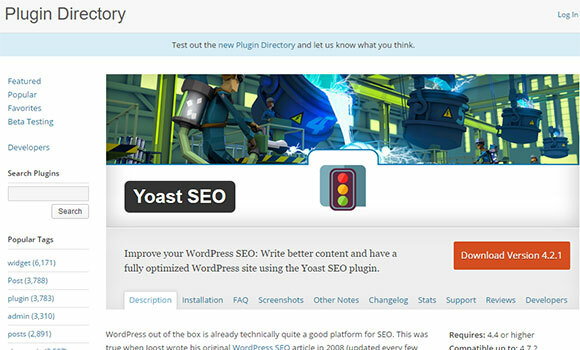 WordPress has some of the best SEO plugins available, including SEO Friendly Images, XML Sitemaps, Broken Link Checker, and WordPress SEO by Yoast. WordPress SEO is an especially versatile tool because it allows users to easily create title tags, meta descriptions, and focus keywords for every page. It even provides users with detailed page analyses for strategies for SEO improvements. The only downside to WordPress SEO is that—even after all these years—the SEO tools still aren’t natively featured in the dashboard. It’s up to the user to download and configure the tools on their own. Thankfully, all of the best SEO plugins are free. One of the biggest perks with Bluehost is that they provide a dedicated IP and custom SSL certificate to every user. This means that every hosting account has its own unique internet address and is equipped with high-level encryption to prevent hackers from intercepting sensitive information. Most companies charge extra for these services. The standard ecommerce plans include a shared server with unmetered bandwidth and storage, but users can purchase a dedicated server for an additional monthly fee. It’s important to distinguish that the storage and bandwidth are “unmetered,” and not unlimited. This means that Bluehost may place limitations on users who put excessive strain on the server’s resources. Most small businesses will never have to worry about this, but larger businesses will need to invest in a dedicated server. 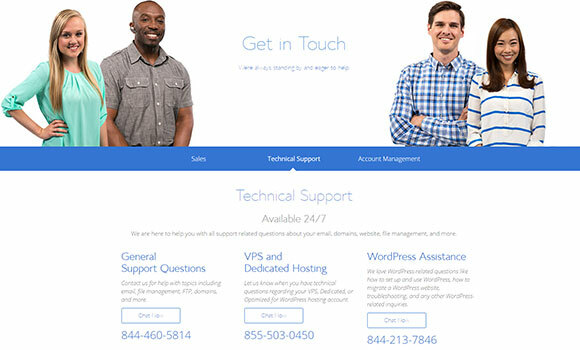 Every Bluehost customer has access to a 24/7 dedicated support line. Wait times are usually less than five minutes, and the customer service representatives are highly knowledgeable about the technical aspects of Bluehost, WordPress, and WooCommerce. Bluehost also has a Live Chat button on every page. To communicate with an expert, the user need only click the chat bubble, enter their name, choose a department, and start asking questions. Bluehost has completely eliminated their email options in favor of round-the-clock live chat, ensuring that users are always able to receive an immediate response. Just bear in mind that the 24/7 support is limited to technical inquiries. Issues like account cancellations, billing questions, and other administrative inquiries will need to be handled during regular business hours (which vary by department). While it’s not the best choice for large enterprises, Bluehost is a fantastic option for most small businesses. By integrating the features of WordPress and WooCommerce into their already robust hosting platform, Bluehost has created a simple and versatile solution for business owners who want to remain in full control of their sites. The prices are affordable, the platform is infinitely customizable, and expert support is always available. This is an especially ideal solution for those who already know their way around WordPress. WooCommerce is designed to work seamlessly within the familiar WordPress dashboard, and the hassle-free commands make it possible build a storefront as easily as building a traditional WordPress blog. Founded in 2003, Bluehost is one of the 20 largest web hosts in the world. The company hosts more than 2 million websites and has a staff of more than 750 people located in cities across the globe. Bluehost was one of the first web hosting providers to include a native WordPress installation as part of their hosting platform, and they remain one of the top WordPress partners. The company is unique for their open-source framework. All of their secure servers and innovative tools are built in an open-source environment and supported by some of the world’s top web developers.